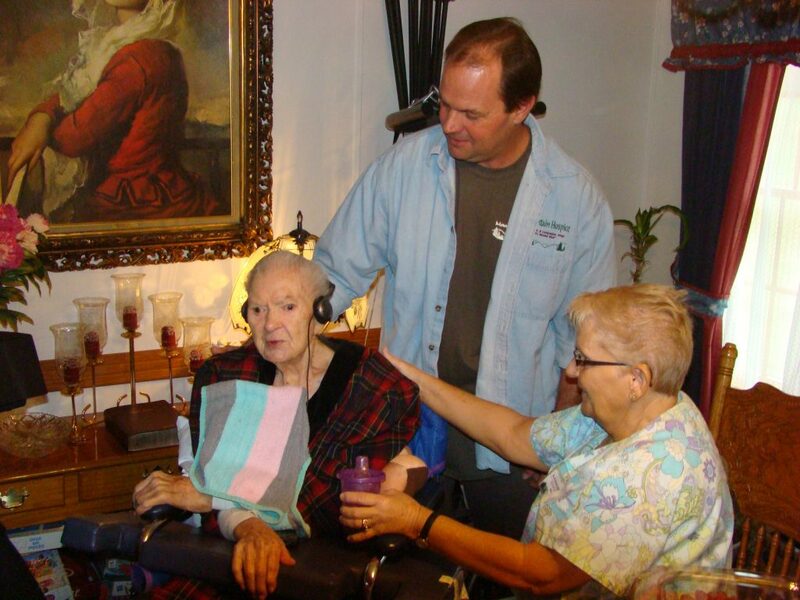 Mountain Hospice provides comprehensive hospice services for you and your loved one. Our staff members are here to assist you where and when you need help the most. Mountain Hospice strives to meet the medical, psychological, social, and spiritual needs of our patients, as well as family members and caregivers during this time of transition. Our team of dedicated, caring professionals is highly qualified to provide outstanding services to meet all of your hospice needs. Our skilled staff members are trained to provide a variety of hospice programs, which can be personalized to meet your exact end-of-life goals. In addition to providing superior standard care, we also provide education, support, and counseling services. Our caring staff can advise and provide instructions regarding dietary, caregiving, hygiene, and household safety concerns. The Mountain Hospice bereavement team provides many valuable services to assist with grief and loss. We are closely affiliated with many local organizations that can assist our patients and their loved ones with needs including meals, transportation, legal, and financial arrangements. For more information on our hospice services, call our office. Our professional hospice team will collaborate with your primary care physician or the Mountain Hospice physician to provide you with the individualized care that you deserve. We are proud of our compassionate staff of skilled professional nurses, medical assistants, and aides. Our home care team is proactive in caring for our patients, and goes above and beyond to assist our patients and their loved ones. We work with local pharmacies to assist our patients with obtaining appropriate prescription medications for symptom control and pain relief. We work with medical equipment and supply companies to ensure our patients have the hospice supplies they need. We can provide assistance in your or your loved one’s home, long-term care facility, or hospital setting. Our dedicated staff can assist with arranging respite care or short-term inpatient care for pain and symptom management. At Mountain Hospice we aim to provide comfort and compassion when and where it is needed most, and do all we can to improve the quality of life for our patients. Mobile services are also available. To learn more about the services we provide, call our 24-hour line at 1 (888) 763-7789 to speak with one of our dedicated, caring professionals.